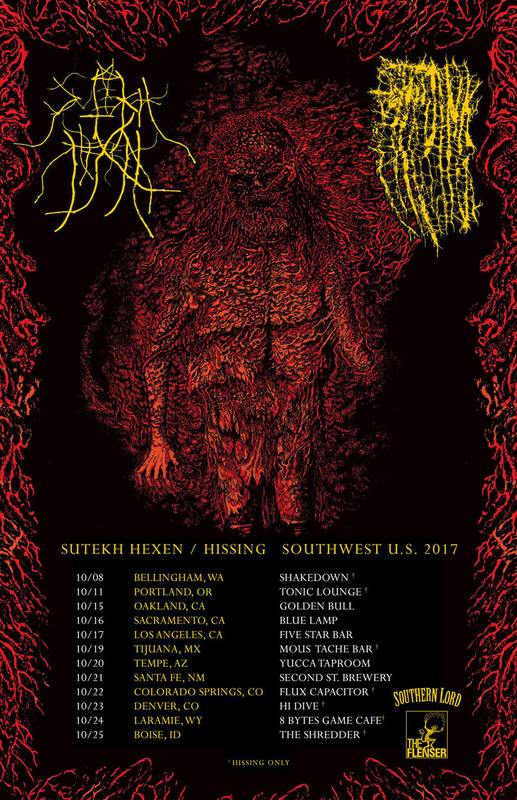 We are honored and pleased to annoucnce that Sutekh Hexen will be appearing at this years Cascadian Yule gathering in Olympia, WA. This will be our last performace of the year, ending it with special "Blizzard" trio set consisting of the following instrumentation: electric guitar, viola, syntehsis/effects, caribou antler and voice. 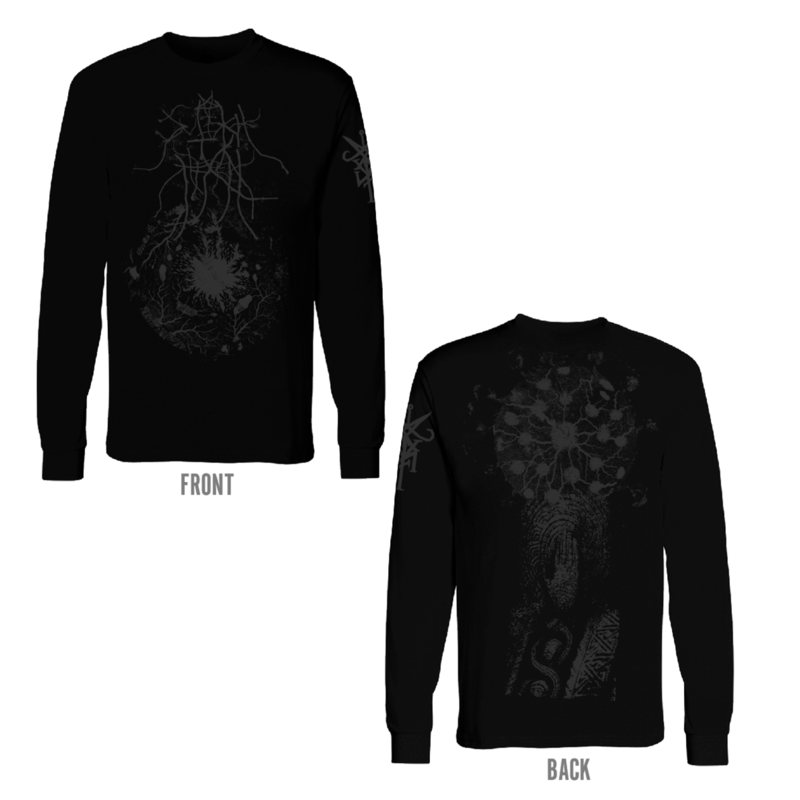 There will also be a special tshirt design produced to commemorate the occasion along with a few other items for those interested. We hope those near and far can join us for these long nights. Hail to all those for making this another successful year. "Even as he reigns, swathed in brilliance, the sun creeps inexorably on his descent toward earthen grave. And so we set our sights toward darkest winter and the revelries required of us for his resurrection. Held annually on deepest Olympian soil, hosting endeavors whose roots reach back through the lineage of ritual performative arts to those ancestors who strove by drum and rattle to something starborne, Cascadian Yule gathers acts of sacral intent from along the west coast spanning the genres of folk, black metal, EDM, soundscape, dance, mythtelling, theater, and beyond—amidst feasting and the jovial reunions of distant tribes of artists, all in honor of the sun who gives all. 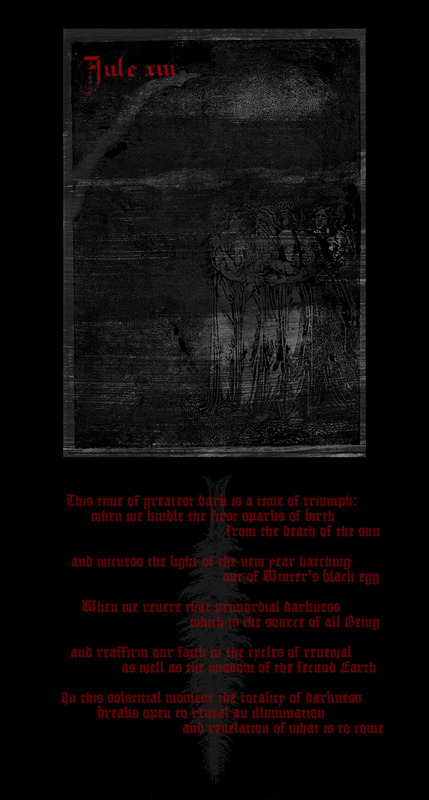 These rites will be held within Cryptatropa, in Olympia Washington upon the evenings of December 22nd and 23rd from Dusk until Dawn. 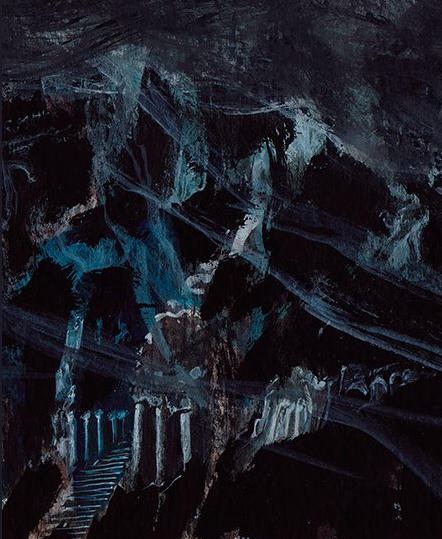 The physical space, which has held these festivities and many others in its history, will be transformed into a locus for such gravitas and a charnel ground for Our Sun’s death and resurrection. 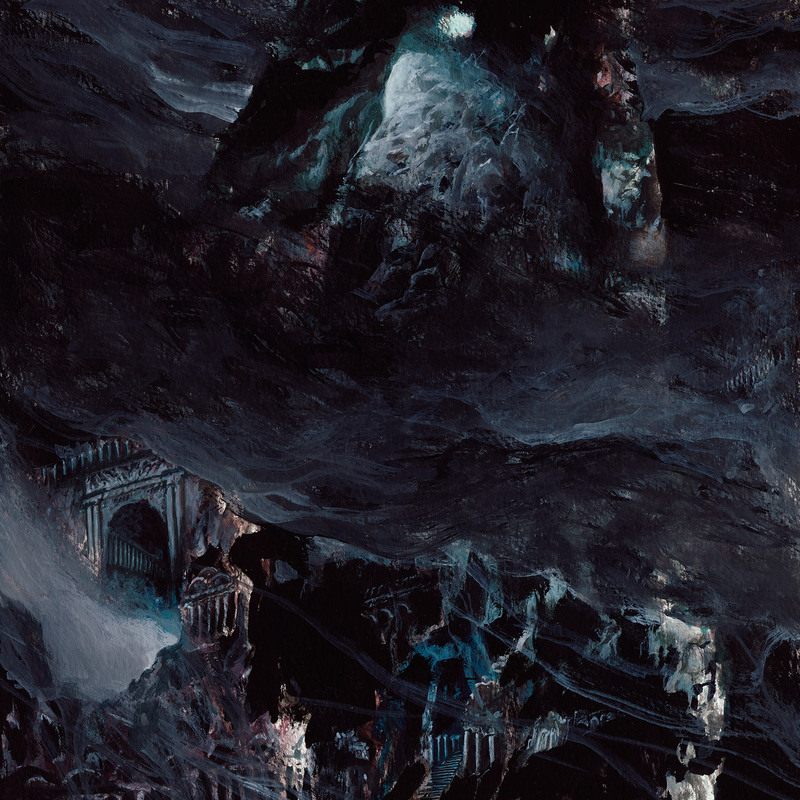 We will share company, comestibles, spirits and inspiration in this dark cradle. We bid your company, to this handful of ashes held to the sun, this glint of silk and flashing anthem, this child’s tear shining before the grave. If your heart measures its meter by sea tide, if the razed earth cries out through your throat, if the moon tugs at your fingertips and the winter is to you a summons; migrate to our verdant rainscape, join us, as more than mere audience but as congregation, poised on the razor’s edge of significance, an ephemeral convergence of souls who might by our integrity participate in something grander than the amnesiac spell of this age. 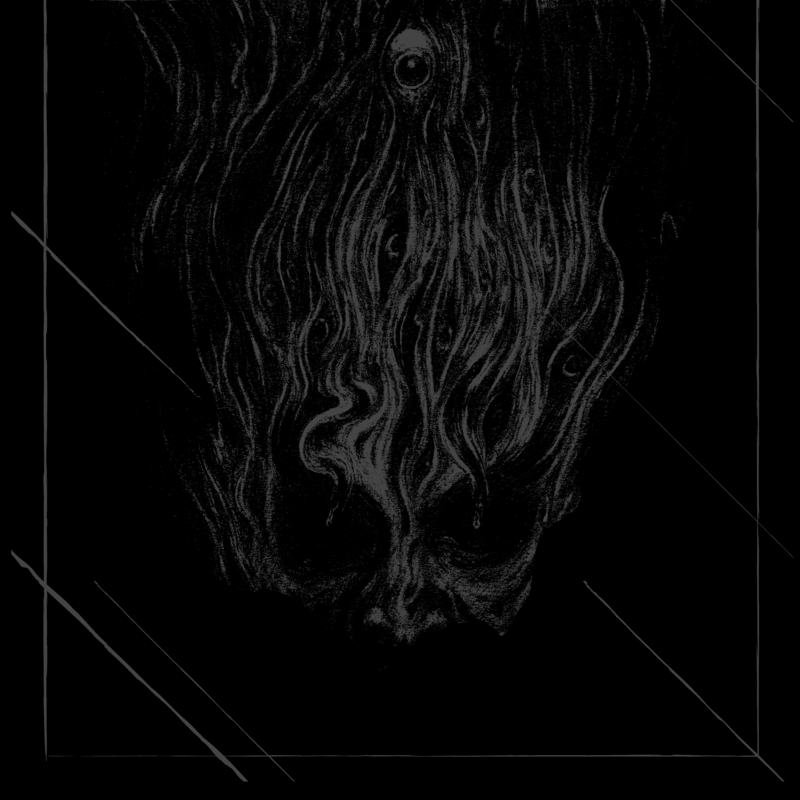 For our collective howl of beseeching and joy and weeping demands a mass to instantiate the sacrament, and thus your dedication means more than mere spectatorship—it is necessary to make meaning, to make our collective honoring of sun, dark, and the deeper things of mortal consciousness substantial. 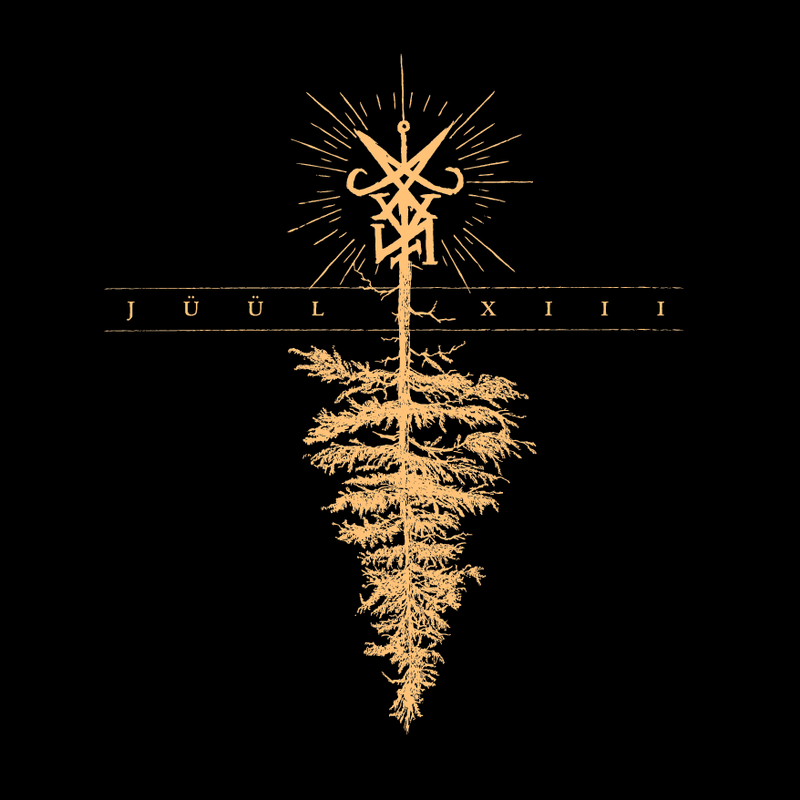 The thirteenth annual Cascadian Yule gathering will commence this year on Friday and Saturday December 22nd & 23rd, twin nights of ritual performance which shall bridge dusk with dawn." 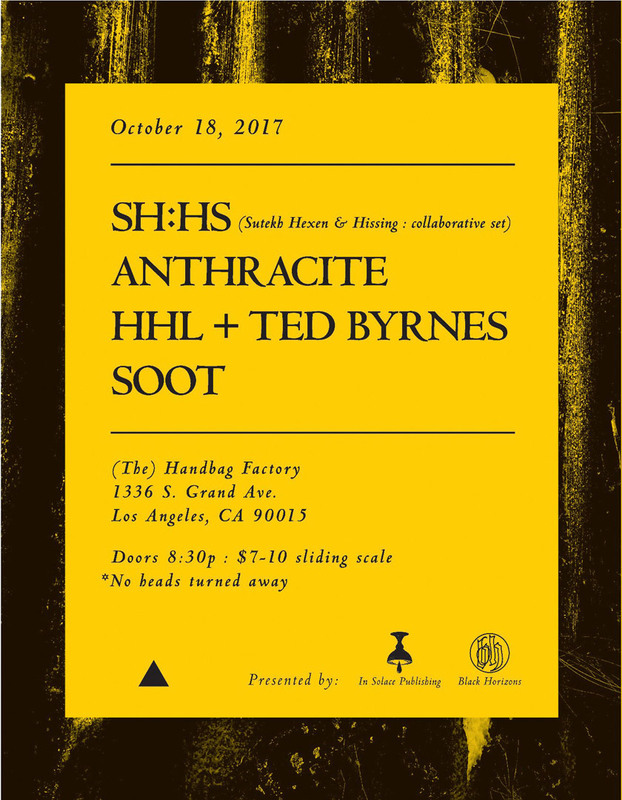 Additional L.A. date added: 10/18 // (the) Handbag Factory // Experimental/extreme electronics/noise focused evening with friends consisting of full-line-up Sutekh Hexen + Hissing collaborative set. Not to be missed. 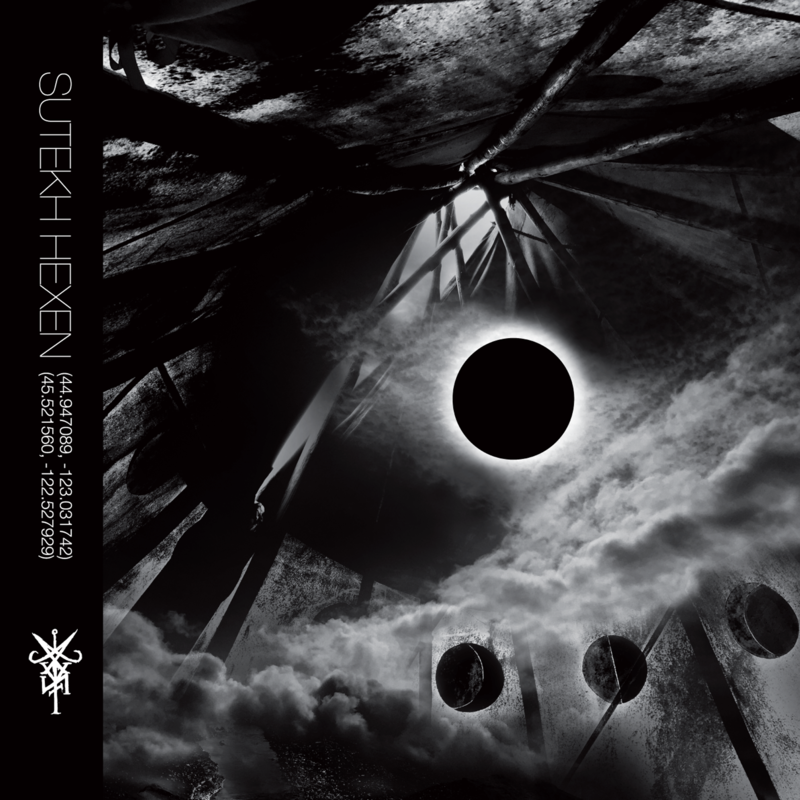 Sutekh Hexen with Greysun Records presents (44.947089, -123.031742) (45.521560, -122.527929) 2xCS: In honor of the total solar eclipse of MMXVII, whose path of totality crosses over the land in which this material was manifested, these two cassettes hereby document a re-envisioning of the original source material previously released on SALEM. 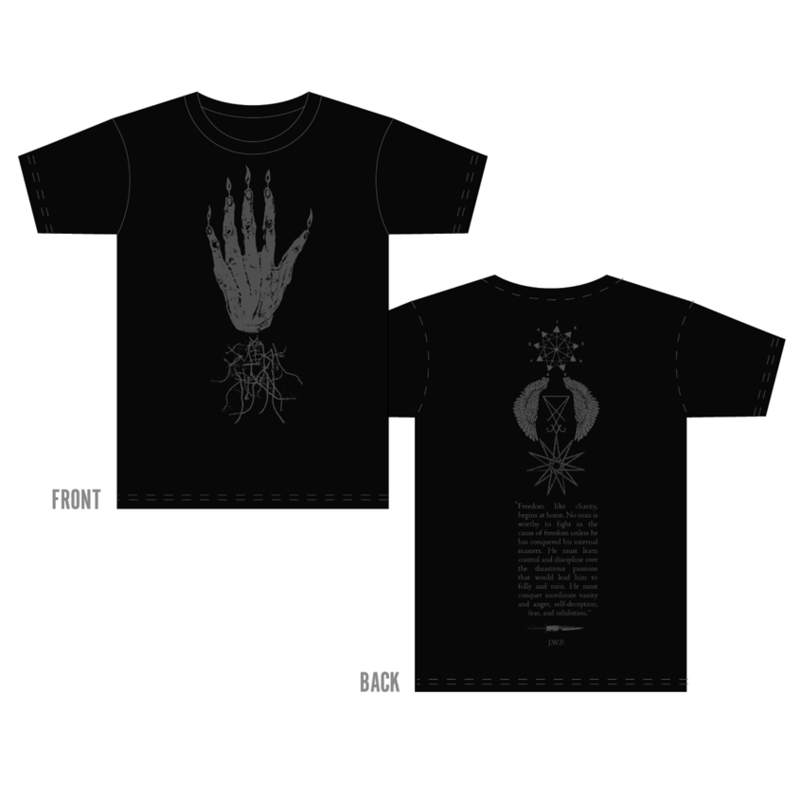 Addtionally a substantial pre-tour merch descent for the mortals... Check out our shop above. Links below. 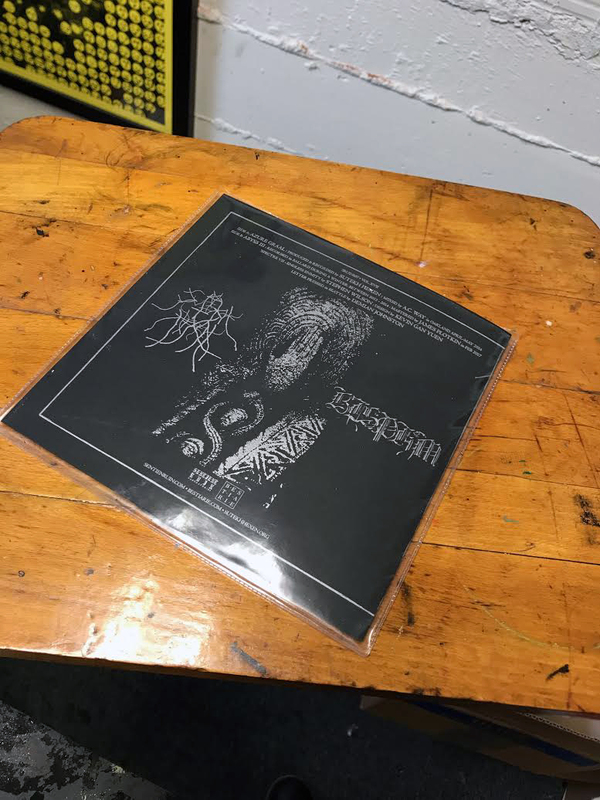 Updated items include: NEW split 7"s: both limited and standard editions (pre-order), Luciform A5 digipak CD (RE-mastered) by James Plotkin and four new limited shrouds. 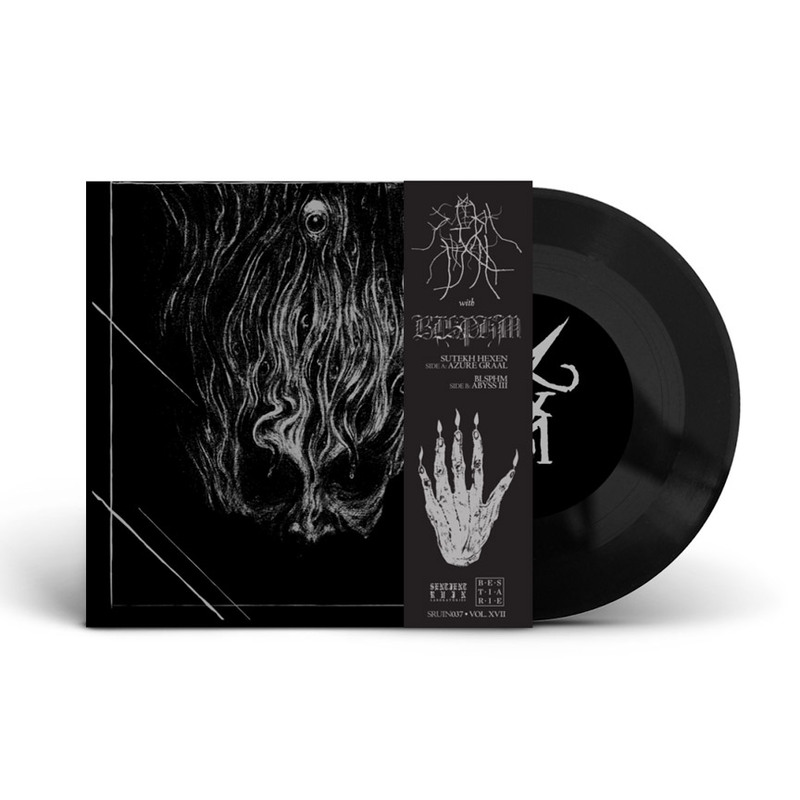 Approved: New 13m+ track titled 'Pareidolian (Symptoms of Sight)' for a split 12" and cassette limited edition split w/Hissing. 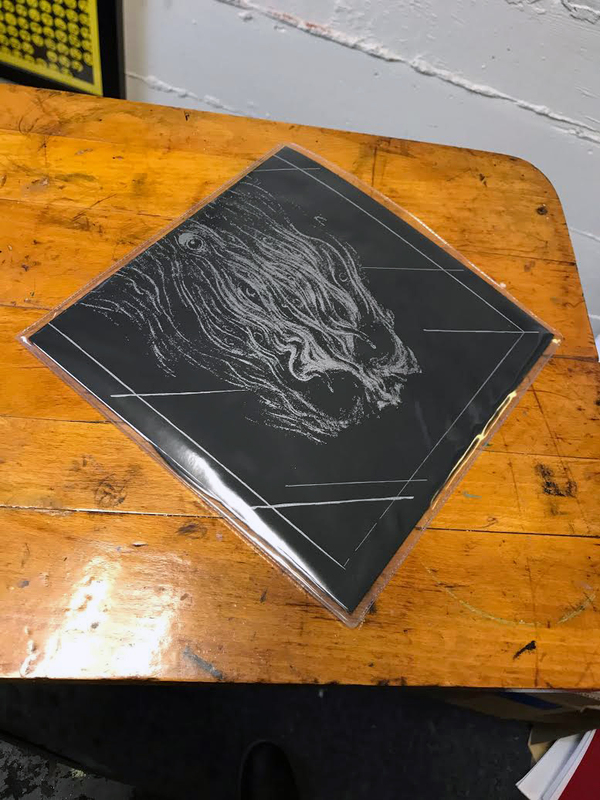 Pictured here is a fraction of the cover painting commissioned from the venerable Timo Ketola and the test press on deck. 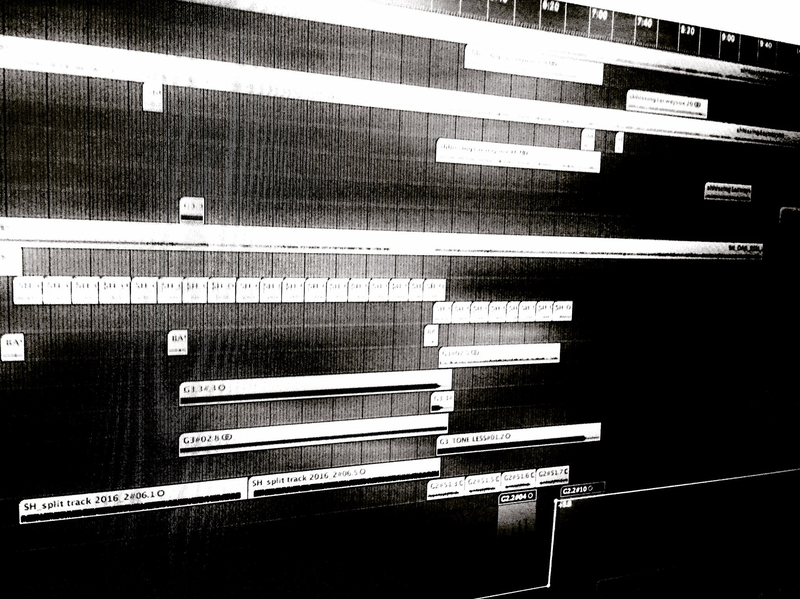 Further details and announcements soon... Thank you. Incoming. 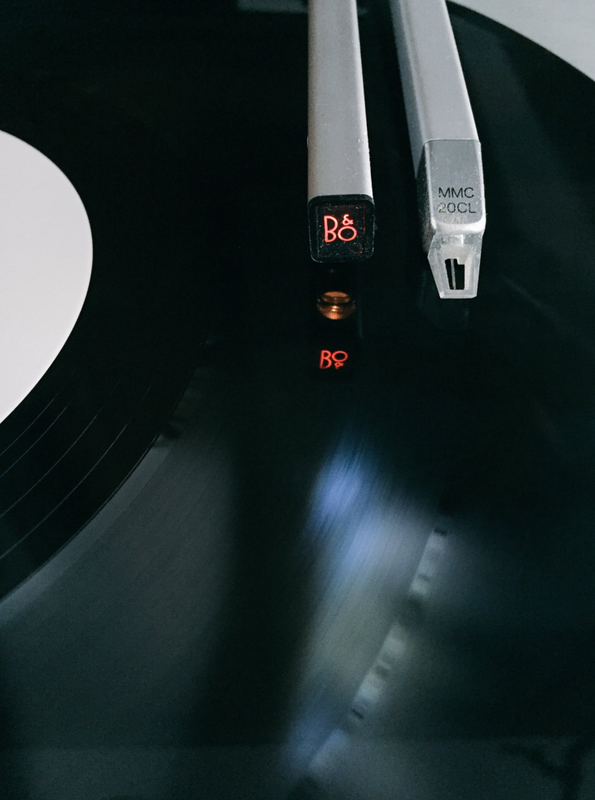 This is the remastered tracks from our hyper limited split released on Dead Accents [DA056] in 2014 as a tour exclusive that will finally see vinyl release. Originally available in an edition of 50 tapes and long gone. 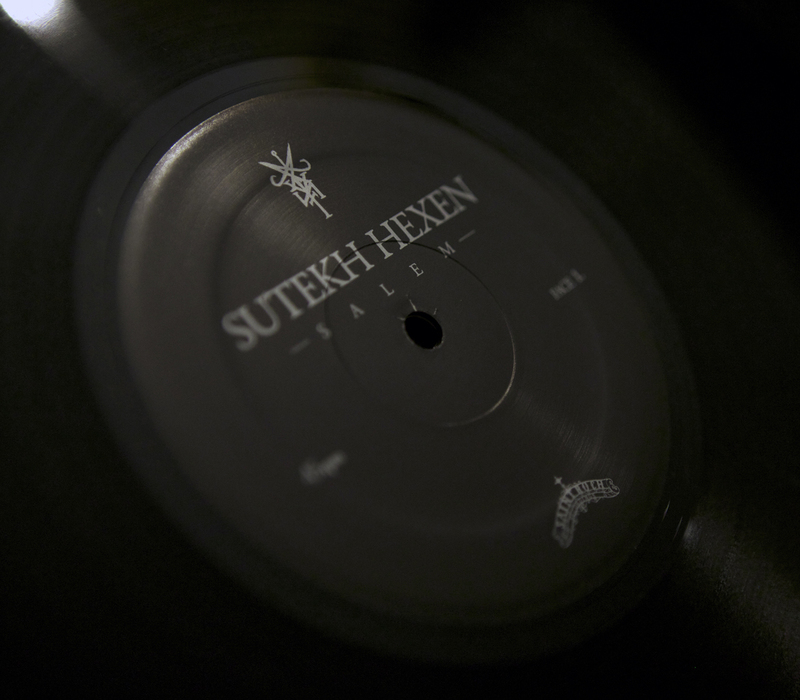 Side A: Sutekh Hexen - 'Azure Graal' // Side B: BLSHPM - 'Abyss 3'. 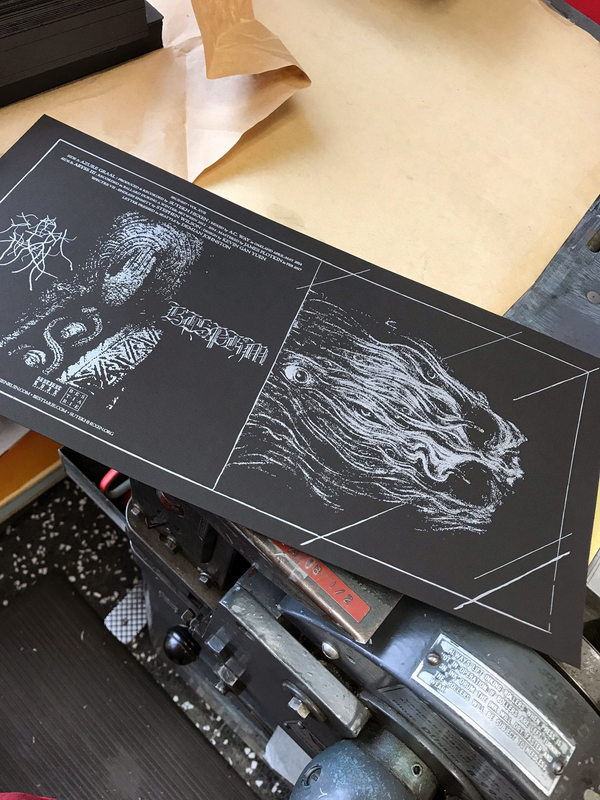 For now here are previews fresh off the press from Ballard, WA of the completed + assembled letter pressed sleeves. 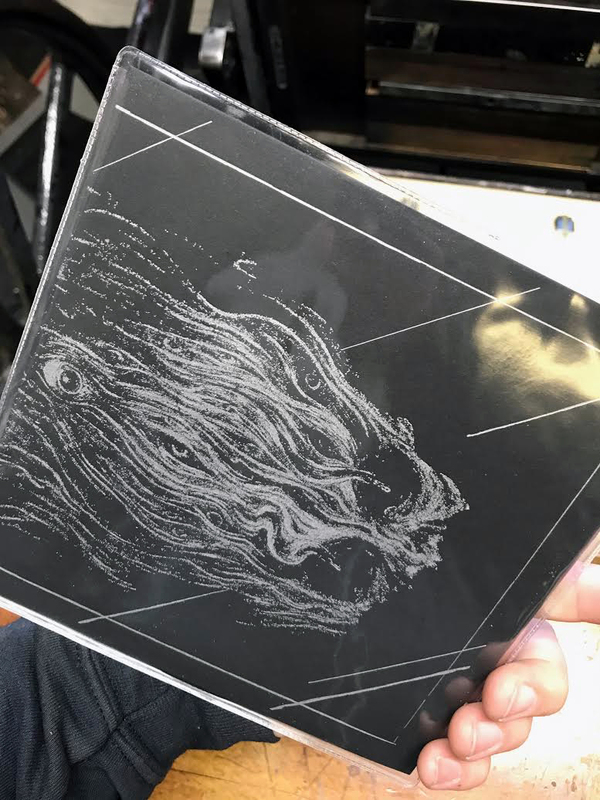 Completely new packaging design via Kevin Gan Yuen [viraloptic.com] and omnimous cover illustration by the always great Stephen Wilson!!! More details soon. 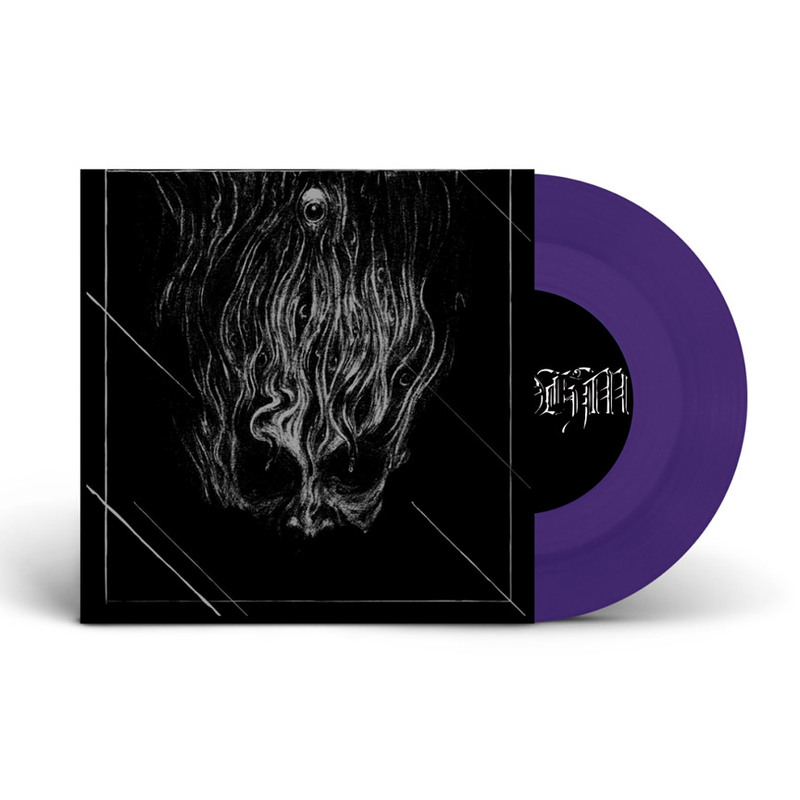 Available now in limited gatefold vinyl and cassette editions or digitally through our Bandcamp.